16x16x1 MERV 11 filters are right on the cusp of being classified as “medium efficiency MERV pleated air filters” and “high-efficiency MERV pleated air filters.” Filters that have received a rating of MERV 7-13 are about as effective as true HEPA filters at controlling a majority of airborne particles. This is able to happen more effectively as the filter gets dirty. However, MERV ratings of 13-16 are able to remove and capture smaller particle sizes even before the filter starts to become dirty. 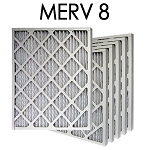 With the first air exchange, MERV 11 filters have over a 75% efficiency of removing airborne particulates that are between 0.3u and 1.0u in size. 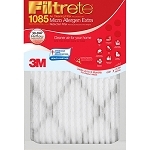 When the average particle size is 1.0u to 3.0U, the filters efficiency jumps to over 90%! We are very proud that we offer these great 16x16x1 MERV 11 filters now for homes. 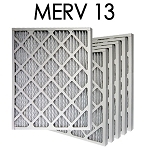 Until recently, MERV 11 air filters were commonly found in: communication centers, telephone terminal rooms, biological laboratories, biomedical laboratories, chemistry laboratories, and physics laboratories. This means the type of filter should be selected based on the specific building location, occupancy, air quality issues and type and operation of the HVAC system. However, it is reasonable to specify at least MERV 11 filters to maintain good indoor air quality in common types of spaces. 16x16x1 MERV 11 filters are pleated, electrostatically charged filters. 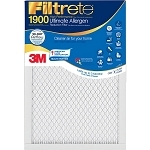 The electrostatic charge of the filters works as a magnet and draw airborne particles to them. A lot of schools are starting to implement MERV 11 electrostatic air filters to help combat children’s respiratory infections and the effects of pollutants.